Pretty amazing, huh? 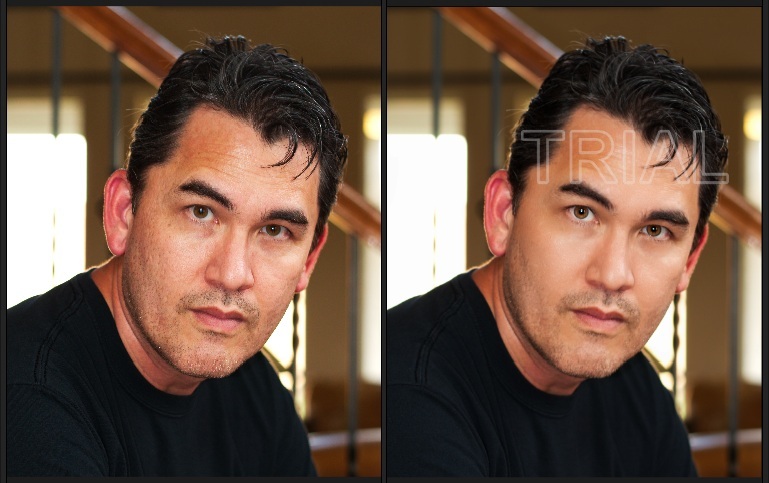 The before/after capture is from when I was fooling with the trial version. I dialed things back and tweaked some more settings for the final image after I purchased the software. There's this weird brown patch of skin on my forehead that I think I'll work on at some point in the future. Interestingly, when I look in the mirror I don't see the patch, but it turns up in about every photo of me except sometimes it's red. It's my poltergeist patch. Maybe someone out there knows the tech story behind things like that?